High Peaks Pure Earth has translated a blogpost by Woeser that was originally written for Radio Free Asia on January 12, 2010 and posted on her blog on January 20, 2010. 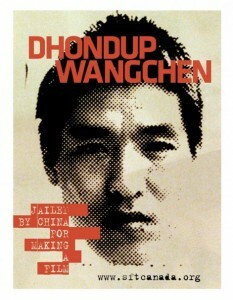 This article mentions Dhondup Wangchen and Liu Xiaobo. Dhondup Wangchen was sentenced to 6 years imprisonment on December 28, 2009 for making the documentary film “Leaving Fear Behind“. The sentence was reported by international media, including Reuters, and attracted the attention of international human rights groups, including Amnesty International. Liu Xiaobo’s sentencing to 11 years imprisonment on December 25, 2009 for his role in drafting Charter 08 provoked international outcry. Recently there was once again some bad news that Dhondup Wangchen was sentenced to 6 years in prison. Four days before the end of 2009, a sentence was handed out to him in secret in Xining. Neither he nor his relatives, no-one received the relevant procedures which must be carried out by the legal departments in China. The 35-year-old Amdo farmer, son to elderly parents, husband to a thin and vexed wife and father to four young children, had been detained since the end of March 2008 for making a 25 minute documentary and suffered such a heavy punishment, on average 3 months imprisonment for every minute. Moreover, if counting the sentence from the date he was tried, then the calculation would be as follows: 4 months for every minute! I told the journalist that Dhondup Wangchen did not have any professional training and used a simple video camera to record the true underlying feelings of so many Tibetans to reflect the oppression and discrimination they are subjected to in their living conditions, and to voice their real wishes. 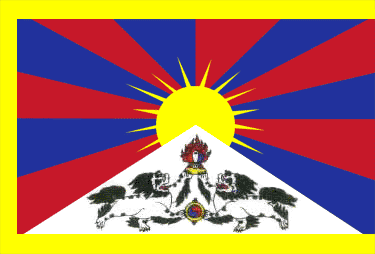 The purpose was so that the outside world would understand what is in the hearts of Tibetans, if this is “subversion of state power,” then the regime is too inhumane, too weak. Therefore Dhondup Wangchen’s imprisonment, from another perspective, has also confirmed the authenticity of the documentary film, and one can fully understand why people outside Tibet say that the lives of the Tibetan people have been ravaged. On my blog, there are Chinese people leaving comments saying that “the Chinese Communists … … such a heavy sentence for this amateur photographer shows the Chinese Communist Party being too intolerant, and they are making themselves a laughing stock,” Essentially though, this is not at all a question of being magnanimous or not. In fact, we are living in a country where the spiritual has already been undermined, when someone like Dhondup Wangchen who has been the conscience of mankind is consigned to a dark prison, I am afraid the future of this country will sink into hatred and brutality.